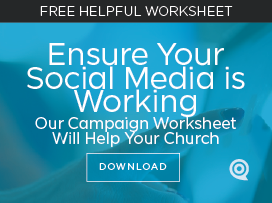 Every church should be building an online audience with social media. Done properly, every church should have more people following their social media accounts than attend on a weekly basis. The channels have been created and most of your community is scrolling on it right now. What are they looking for? Something that’s entertaining, revealing, informative, or a reminder. Think a church can do that? Absolutely! If you entertain, reveal, inform, or remind around the thread your church is known for, you’ll quickly gain an audience of people who need you and relies on you. Sure, they’ll occasionally tolerate bad or off-thread posts, but you need to concentrate on maintaining a controlled message. Just ensure your thread is tied to the needs, concerns, or goals of your community. Use a Note App on your Phone to capture thoughts and images. We all have smart phones with Evernote, Apple Note, or similar. If you don’t, you should get very familiar with them. Everywhere I go, my mind is never turned off. I’m constantly looking for great ideas and posts. Often, I see other brands creatively tweeting, posting, advertising, or communicating about their thread! With a slight twist and change of words or concept, I make it my own. Then I type it into my note app to save for later. Sometimes several posts happen from creating one. Then, later when I’m scheduling, I review and post the ones that still make sense. I do this so much that I often don’t remember typing them into Notes. Be creative and daring in your app. Be selective when posting. Schedule a week or more at a time but be prepared to stop your scheduled post. 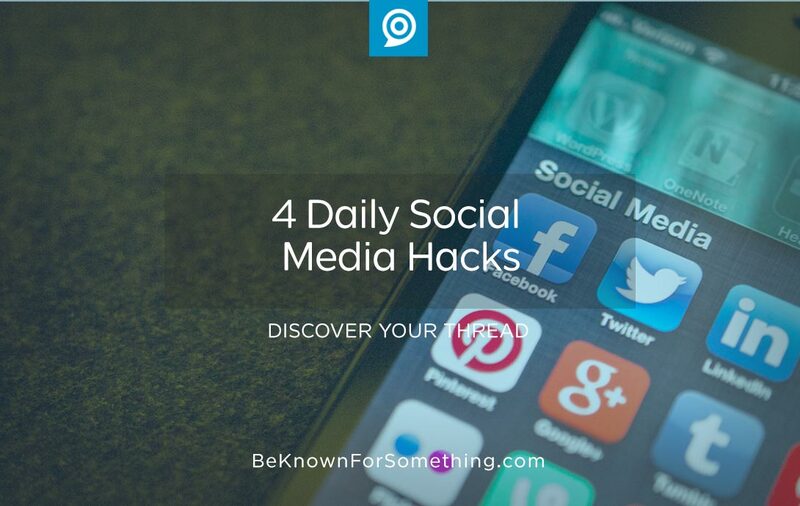 Use Hootsuite, Buffer, or similar to post throughout the week at a time when your audience will be bored. It would be impossible to actually be posting during all those times. These programs make it simple. But be cautious about programmed posts — make sure you are aware of what’s happening in your audience’s lives and remove or pause posts when something conflicts with the tone or content of them (national disasters, etc). Spend time editing and creatively use hashtags. Never use a post without editing. Always shorten as much as possible and concentrate on the initial words of the post since they determine if someone will read the whole post. A visual will almost always help too! Then add a # to a couple of keywords in your post (not too many) or add hashtags to the end. This will attract a larger audience that’s interested in your keyword and if it’s a trending topic, your post will join their global thread. If it’s tough to create keywords/hashtags that are interesting, your post won’t be interesting. Create a regular time for your “show” to be on. Social media is perceived as an entertainment channel so think of your pages as a TV show. Make sure you’re airing your show regularly at the right times so people will anticipate your content. Ensure your regular “cast” and topics make an appearance in the way that your church wants them to. Understand your analytics to see when your “show” is currently played (when most people view it) and feed those times with more content.